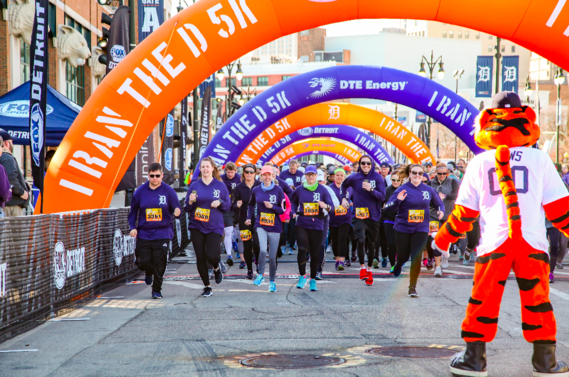 The Third Annual I RAN THE D is one of the most iconic races in Detroit. 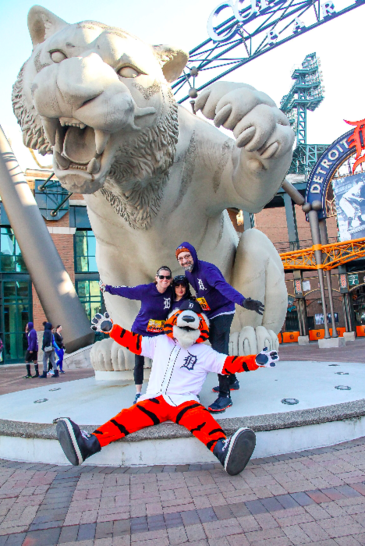 Start at the Big Tiger and finish running around the Comerica Park field! 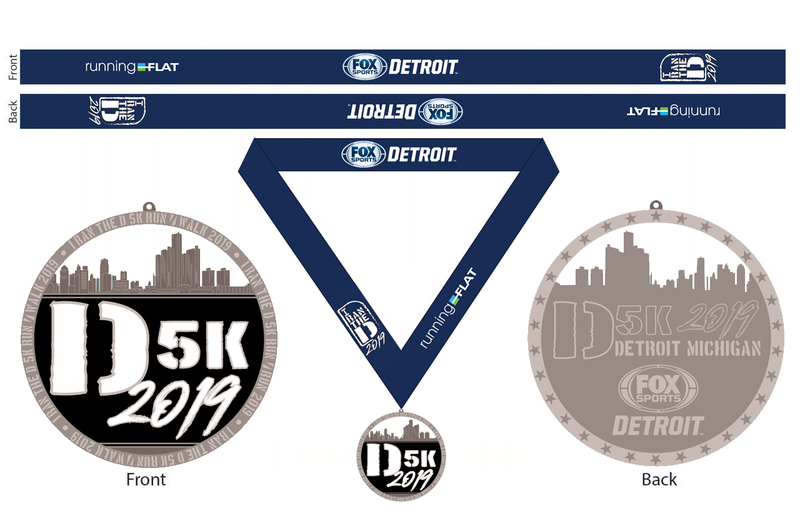 The I Ran the D 5K Run/Walk, presented by DTE Energy, is back and we are once again excited to celebrate FOX Sports Detroit, the city of Detroit, and our Detroit Tigers. Its Spring! So get out into this great weather and join us for a day of fun with your family, friends and coworkers. 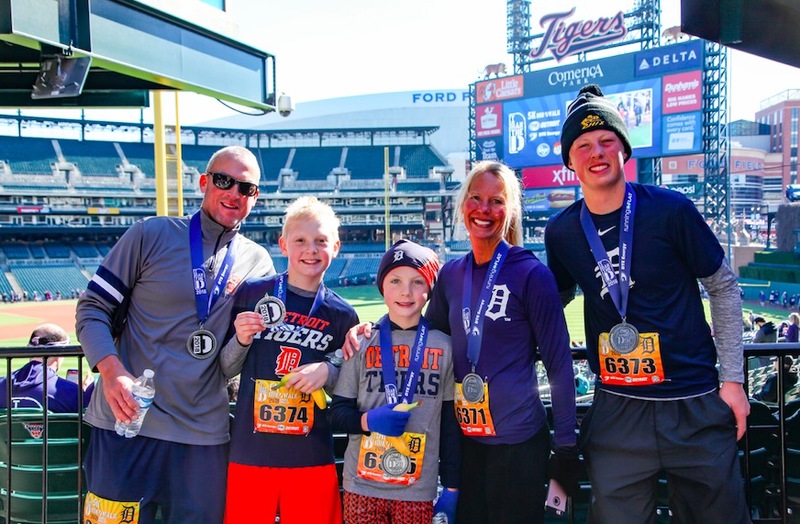 Create a lasting memory of running through our great city streets and finishing ceremonially on the Comerica Park field! Register four or more people in one registration and receive $5 off all registration fees. Please Note: This discount triggers on the fourth registration and applies to the prior three or more but only applies to registrants in a single transaction. This does not apply to members of teams who register separately. NO REFUND POLICY unless you buy cancellation insurance in the checkout. 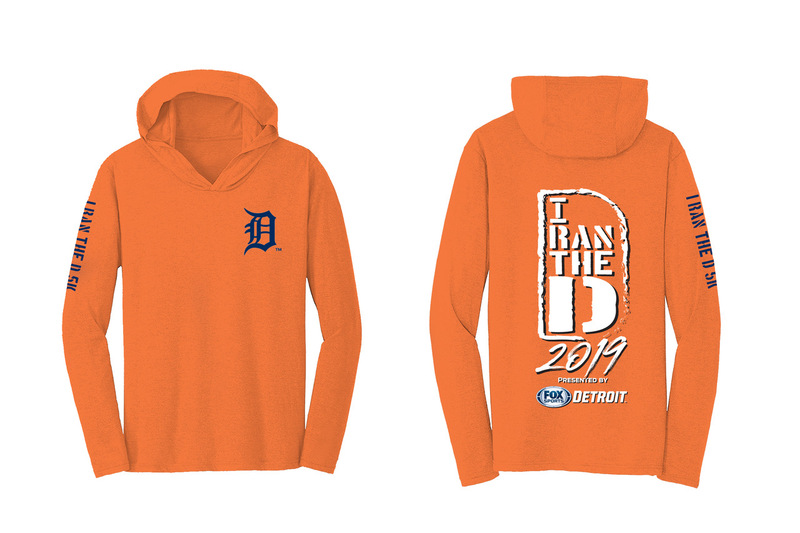 A limited-edition I RAN THE D Long Sleeve Hooded Shirt. Runners start at 9:00 a.m.
Walkers start at 10:00 a.m. Kid's Marathon at 11:30 a.m. 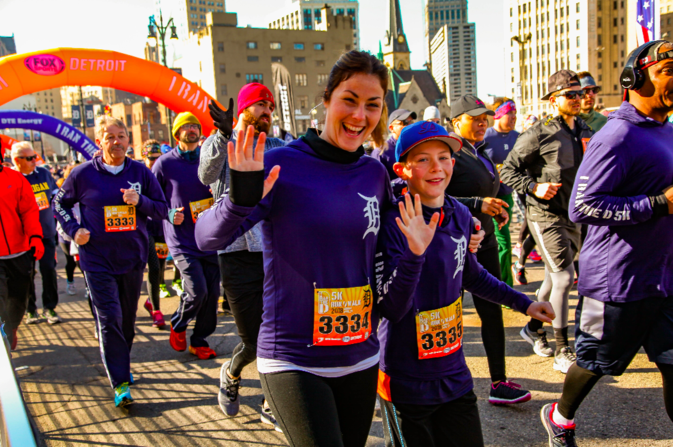 Runners and walkers will gather just outside of Comerica Park by the Big Tiger on Witherell Street. The 5K will begin at 9 a.m. for runners and at 9:30 a.m. for walkers. 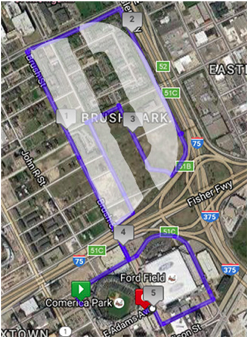 From there you go right onto E Montcalm St and left onto Brush St going Northbound to Mack Ave East bound to I-75 Frontage Road Chrysler Service Road south to St Antoine St North to Wilkins St west to Beaubien St south as it turns into Brush St back down to E Montcalm St around Ford Field to St Antoine to Beacon St to Brush St north to the Finish Line at E Adams Ave. 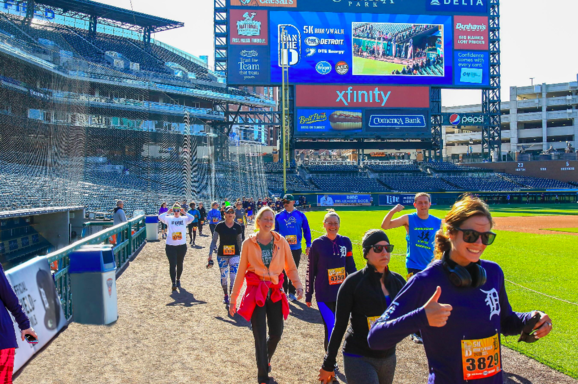 The Official finish line for the race will be just as you enter onto the Comerica Park field. You will then run around the field (warning-track) and up into the concourse to receive your commemorative finisher’s medal. Access to the field will be weather permitting. Please Note: Race photographers will be on the course and at the finish line to take your picture. These photos will be posted online following the event. Upon finishing and receiving your medal, you will be directed into the stands to visit your supporters. (2) Mezzanine Level Tickets to the Saturday May 18th game. 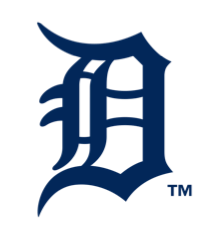 Tigers vs. Oakland A's at 4:10 p.m.
**NOTE this is for North American addresses only and no formal proof of mileage completed is required, it will not be recorded. 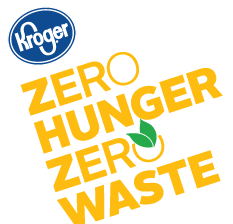 $1.00 from every registration will go towards the Kroger Zero Hunger Zero Waste program! 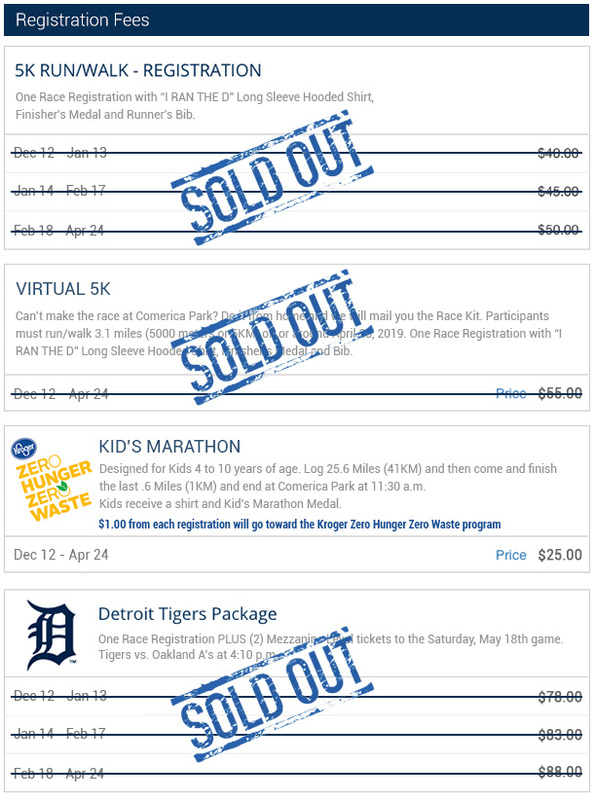 New this year we are offering the Kid's Marathon, but very limited numbers so register early. A great way to keep you kid's active throughout the winter months with a goal in mind. A little bit everyday and on weekends they will log 25.6 Miles or 41KM between now and Race Day! 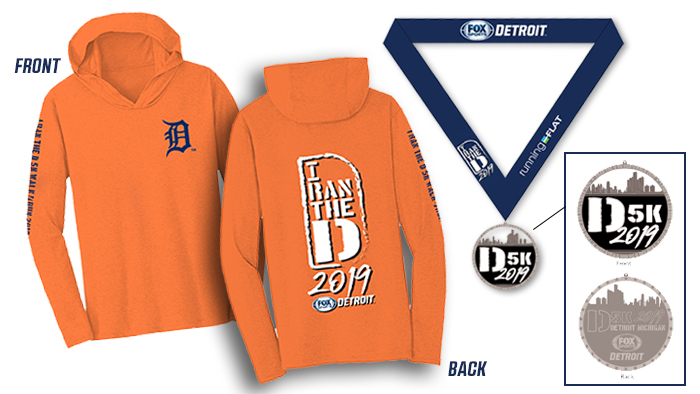 You have to show up to Race Kit Pick on Saturday April 27th at Comerica Park with your work sheet filled out to be given the Bib and Shirt to run in the Kid's Marathon at 11:30 a.m. on Sunday April 28th. 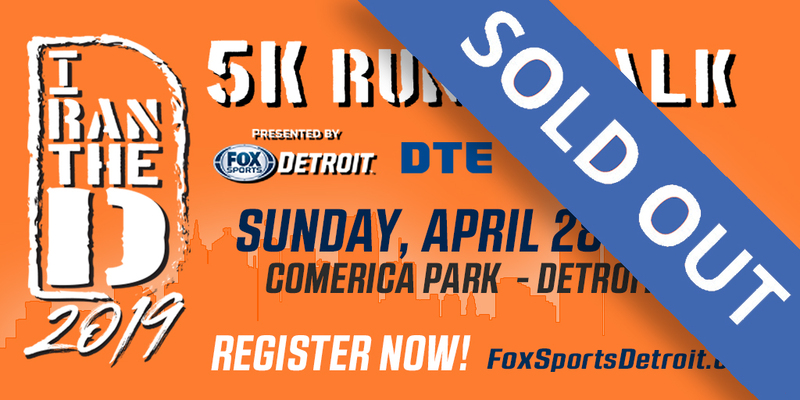 PLEASE NOTE - One parent or guardian will be allowed to run the last .6 Mile into Comerica Park with a child. The rest of the family is welcomed inside Comerica Park to watch loved ones finish. This event is designed for children 4 to 10 years of age, to keep kid's active and can be done with groups, sports teams, school classes and community organizations. This is not a timed race and we will stagger the starts for safety reasons. MAIL OUT OPTION: NEW THIS YEAR! 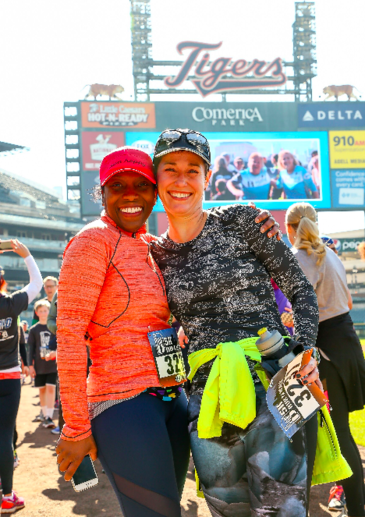 MAIL OUT OPTION: We can MAIL your race kit to you, for a flat rate of $15.00 and save you the trip to Comerica Park the day before race day! Your race kit will arrive the week of the race via USPS. You will see this option during the check out process *Not available to ship to Canadian Addresses due to potential Customs and Border delays. Saturday, April 27th from 10:00 a.m. - 6:00 p.m.
FREE Parking for Race Kit Pickup in Lot 1, please pull a Ticket. Your ticket will be validated when you pick up your Race packet. Please Note: You must provide valid proof of identification to pick up your race kit. If you are picking up for someone else, you must bring their registration confirmation number. Anyone wishing to watch family or friends in the race are more than welcome to attend. There will be spectator areas at the start and finish lines, and at various locations along the course. Gate B at Comerica Park will be open. Maps will be available closer to Race Day.